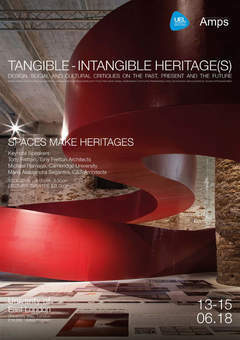 Maria Alessandra is one of the Keynote speakers at the conference in the debate Spaces make Heritages, while Carlo Cappai will be chairing the Design, Use & Experience and the History strands. In a time when the construction of New Towns is on the agenda in UK; when climate change threatens historic cities and landscapes in Asia; when the cultural industries turn our art and architectural history into economic models of development; when entire cities are being built from scratch across rural China; and socio-economic change is destroying industrial communities leaving people in the West in search for answers, what can we mean by ‘heritage’?Our built environment of buildings, towns, cities and infrastructures are always, at inception, visions of a future. They also become – very quickly – the markings of the past. Framed as architectural history, these markings tend to be what we think of when discussing heritage. However, heritage is more than this. It is equally a question of artistic and media representations of the present and the past; the social milieus we destroy or reinforce as economies fade or grow; the societies we construct through varying forms of city governance; the artistic and political legacies we use as points of rupture in building the future.